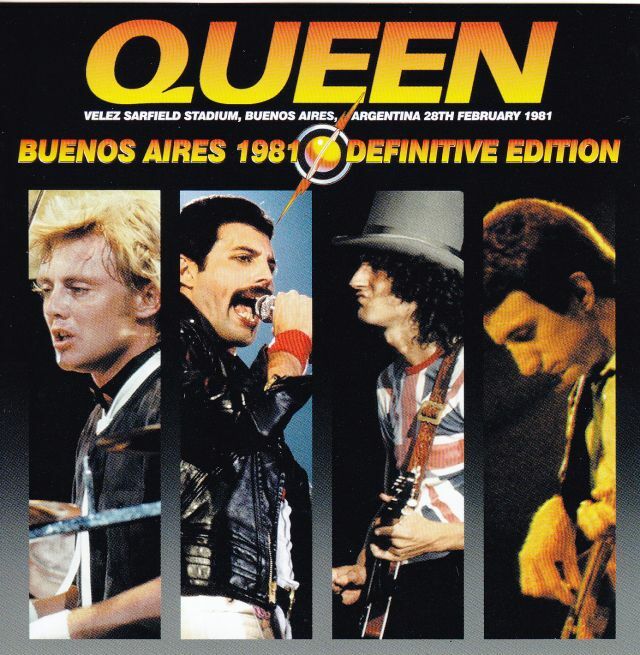 Recorded: Velez Sarfield Stadium, Buenos Aires, Argentina February 28th. 1981. Sound: Stereo soundboard recording. This 2cd on Wardour label is a bit more complete than 'Gypsy Eys' "First Major Rock", released back in the late 90ies. Tape outroduction 'God Save The Queen' is missing. This concert was also broadcasted on Argentina National Television. Comments: Basically a radio broadcast. Read under for more info. Roots: From a FM radio broadcast. Intro: "sound + thunder & lighting"
After the show Brian also whether I was glad considerable reaction of the audience. And let me know before entering the The Hero in Flash’s Theme, Freddie’s say “Flash I love you I love you” with a fast rate of speech to comical to movie style also is a place to interesting line recording. I can enjoy a high-quality stereo line recording a stable climax of the best part also show the second half. The choice of the 1981 Buenos Aires first day sound board sound source by correcting all the pitch that was crazy at random. 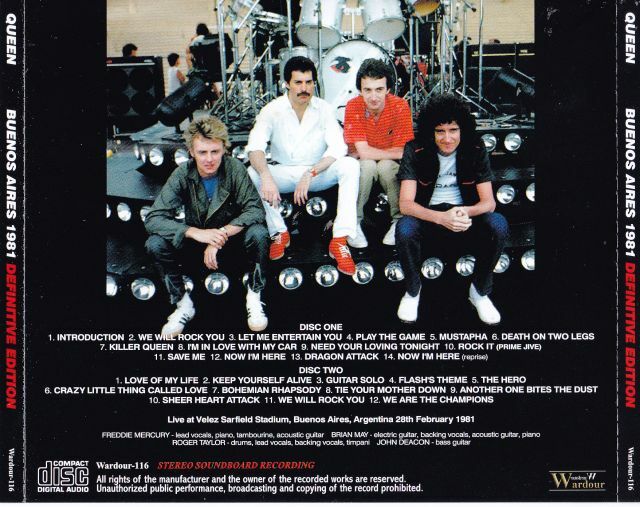 Wardour label from popular, high-grade title of the absolute must-have fan, Queen after a long time is an appearance in the press limited CD. 120 pieces only the first will be the release of a sticker with numbering into.